In Hawaiian culture, The water is an extension of Kanaloa’s body (god of the ocean). The healing powers of Kanaloa extend to calm the mind, soothe the body and uplift your spirit. Here we take you to the sea, the most powerful healing vessel on earth. Gently float and rock your stresses away as you relax aboard Sea Spa. Let our menu guide you. Each signature massage will begin with a specially formulated healing treatment of lomilomi with Hawaiian fragrance blends. Our expert masseuses can then help guide you to the best massage style that suits your needs. Continued lomilomi, medium pressure, or a deep tissue massage. Any massage can be modified for prenatal formatting and a fragrance free coconut oil can be substituted when desired. “Very Much Love”. Infused with Pikaki, “Gardenia”. This massage uses traditional Hawaiian lomilomi techniques with continuous deep flowing motions. Choose a pressure that best suits your needs. This Queen's massage was designed with the na wahine in mind, and uses ultra pampering oils infused with the essence of plumeria blossoms. The Liliuokalani fuses Swedish and lomilomi techniques while giving extra attention to women’s stress areas such as the neck and shoulders. “No Worries”. A’ole applies reflexology to the head, hands and feet. Boosted Energy Levels, Increased Circulation and relaxation makes it true to its name. This heavenly mango nectar massage will restore you back to the island state of mind. “The Sea”. Our signature deep tissue massage is infused with Koke's earthy scent. Enjoy this light fragrance while you are stretched and fully relieve tension throughout your entire body. Move easier, release pain and decrease stress with this traditional healing treatment. “Mermaid”. A real anti-aging, enzymatic treat for any fierce female. This superfood purified mask is filled to the brim with Hawaiian spirulina and organic chlorella. Enjoy this emerald treat as you nourish, soften and renew your complexion. “Man of the sea”. Treat yourself with black lava salts and mineral rich red clays for a refined, detoxified and overall smoother skin. This facial has been formulated perfectly for men. “Water”. This facial uses natural and nurturing moisture. Hydrate and renew your skin for the Hawaiian glow with hydrosal botanicals and tropical fruit nectars. Great for those looking for a toned and firmed complexion. Indulge in the ultimate luxurious experience. Rich antioxidant chocolate harmoniously combined with raw Maui sugar crystals. Scrub and exfoliate your entire body for ultra soft skin. Once you are glowing from regenerating, continue the treatment with a glazing chocolate oil in a divine full body massage. Follow your chocolate sensations with Leahlani’s Koke detoxifying and firming mask treatment with continued upper decollete sugaring. The chocolate sugar experience is 60 minutes of pure decadence and is finished up with chocolate truffles. 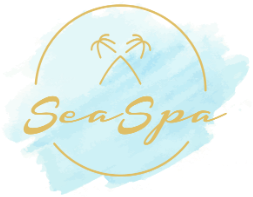 Bringing you the best of the best, Sea Spa has chosen two lines that are organic, high quality and made from the love of the islands. Leahlani Skincare: These uniquely fresh products tantalize your senses with their therapeutic and tropical aromas. Indulge in a mix of vibrant botanicals, skin softening clays, delicious tropical fruits and Hawaiian nectars blended in an intimate batch from Leahlani’s private studio on the North Shore of Kauai. Malie Organics: Malie is headquartered in sunny Poipu on the Garden Island of Kauai. As a Hawaiian luxury spa and beauty brand, Malie offers an extraordinary line of all natural and organic products embodying the beautiful essence of the islands and its tropical flora.